Battery options: B-standard: 4 x AA 1.5V alkali batteries. Lifetime typically 25hrs R-Rechargeable: 4 x AA 1.2V NiMH batteries. Lifetime typically 10hrs. External adaptor recharges batteries and powers unit. The discharging currents, or bearing spark erosion current, can cause heating and even melting of the surface of the bearing raceways. The damage caused by bearing currents can lead to premature failure of the motor drive as well as costly maintenance and down time. 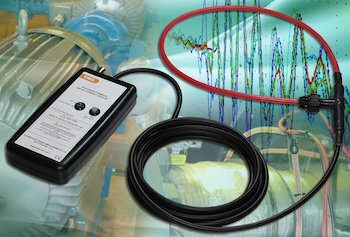 Powertek has developed a flexible, clip-around, current probe to measure these high frequency common mode currents which flow through a motor to ground via the bearings in large AC drive systems. 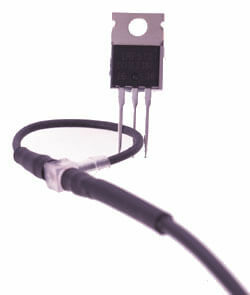 The probe is a modified version of our highly successful, industry leading, CWT range of Rogowski current sensors. 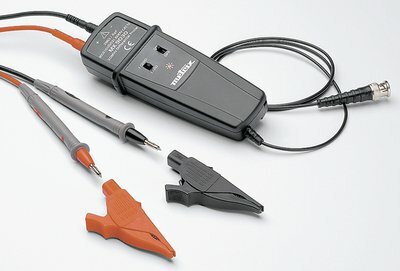 The CMC current probe is an important tool for identifying the presence and severity of bearing spark erosion currents and common mode currents in large motor drives. 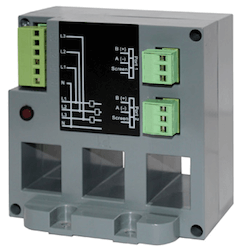 It is designed for use by experienced personnel with knowledge of AC drive systems. 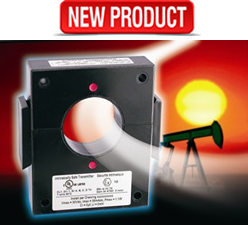 Once identified, the CMC probe will give an engineer a reference measurement which can be used to evaluate the effectiveness of steps taken to mitigate against bearing currents. 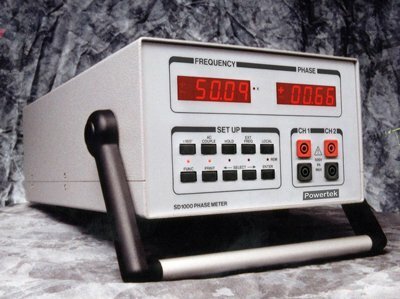 The low frequency bandwidth is set to attenuate any large fundamental frequency currents and magnetic fields. The CMC06 integrator has a gain of typically -90dB at 50Hz, this means that if there is a 100Arms, 50Hz current passing through the coil the output of the CMC will be <0.2mVrms. The high frequency bandwidth of the CMC current probe is determined by the coil length, the cable length and the integrator design. 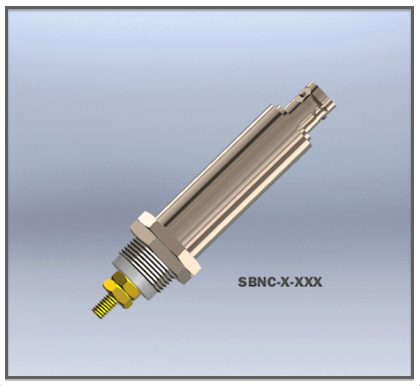 The high frequency bandwidth for each model is quoted for a 2.5m cable and a 1000mm coil in the specification table. 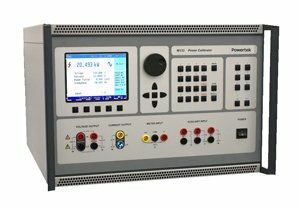 The low noise integrator design allows better measurement accuracy of high frequency currents and enables a wide dynamic measurement range. 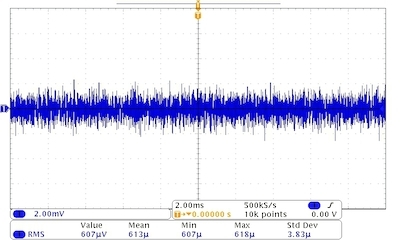 The trace shows the CMC03 measuring a 2MHz sinusoidal current source compared with a traceable coaxial shunt measurement of the same current. 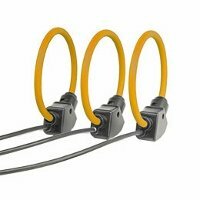 There is a delay between the actual current and the output of the CMC which is predictable and is determined by the coil and cable length as well as the integrator design. 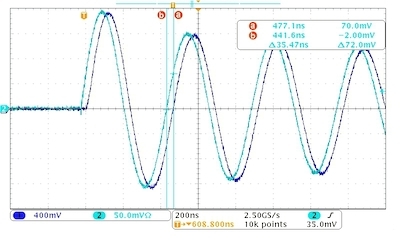 The predicted delay for the CMC03B/2.5/1000 is 35ns.